The Indian Cellular Association says India’s telecom regulator has no jurisdiction over device manufacturers and should not allow telecom service providers to regulate device manufacturers/devices or customers who possess such devices. The Telecom Regulatory Authority of India (TRAI) and Apple have been at loggerheads over a DND app that the telecom regulator has prescribed for all smartphone in the country. While Google has already made the app available on Google Play, Apple has not yet consented to add the app on the iOS App Store citing a possible breach of user privacy. 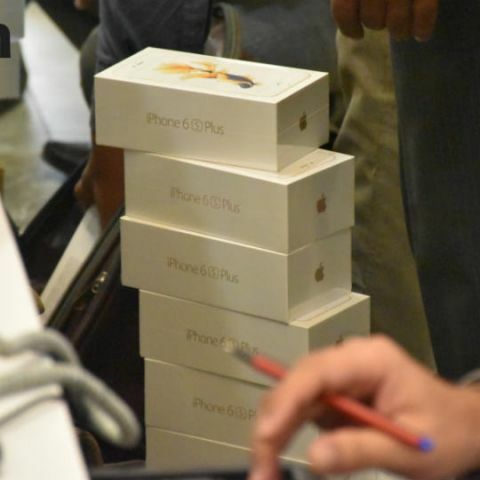 Now, TRAI is seeking that all the telecom networks de-register iPhones from their respective networks as a penalty for not making the DND app available on the device. Meanwhile, the Indian Cellular Association (ICA) has opposed TRAI’s demands saying that the telecom regulator does not have jurisdiction over device manufacturers and should not allow “Access Providers” to regulate device manufacturers/devices or customers who possess such devices. "Every Access Provider shall ensure, within six months’ time, that all smart phone devices registered on its network support the permissions required for the functioning of such Apps as prescribed in the regulations 6(2)(e) and regulations 23(2)(d). Provided that where such devices do not permit functioning of such Apps as prescribed in regulations 6(2)(e) and regulations 23(2)(d), access providers shall, on the order or direction of the authority, derecognize such devices from their telecom networks," reads TRAI's directive. “Access Providers” includes the Basic Telephone Service Provider, Cellular Mobile Telephone Service Provider, Unified Access Service Provider, Universal Access Service Provider and Virtual Network Operator (VNO) as defined in the respective licenses issued by Department of Telecommunications (DoT). 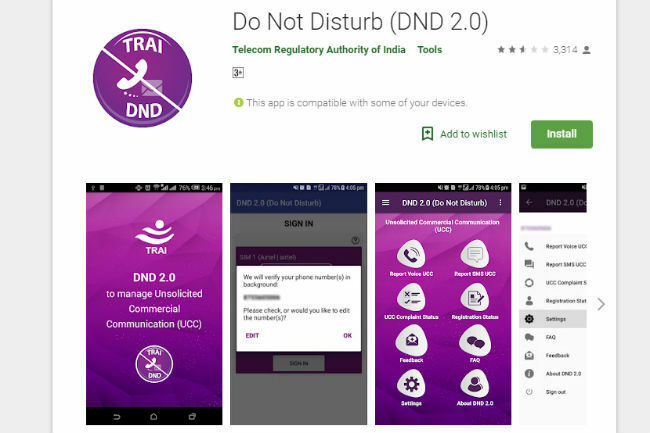 Last year, TRAI passed a regulation and asked device manufacturers to include a DND app in their app stores so that people can use it to block unwanted calls and spam messages that bother them. The TRAI said "unsolicited commercial communication, or spam, is a major nuisance to telecom subscribers", and to curb the menace, it established a "Do Not Disturb" (DND) registry under regulations made in 2010. Following instruction from the regulator, Google included the app on the Google Play Store, but Apple did not allow the app to make its way to the App Store. The Cupertino-based company said the app, first developed by TRAI for Android in 2016, asks users to grant permissions to view call logs and text messages. Apple stated it would not allow a third-party app to selectively access contacts or see call logs and text messages, as giving such access will be a violation of user’s privacy, data and security. This apparently irked the telecom regulator and R.S. Sharma, the Head of TRAI, announced that the regulator would take appropriate legal action against the company. “This is unjust, it shows the approach and attitude of this company,” he said. TRAI claims that the app will provide for better control over all entities in the ecosystem and in the flow of commercial communications, beside detecting unregistered telemarketers through collaboration. Meanwhile, the Indian Cellular Association (ICA) has jumped into the TRAI-Apple issue, saying that the telecom regulator does not have jurisdiction over device manufacturers. “Such action, even if well-intentioned, will lead to a bad precedent. This is because a telecom operator is a "third" party when it comes to the relationship that a device manufacturer has with a customer/user. The use of the telecom network is important, but incidental to this is core relationship. It would be patently wrong to give any powers in the hands of telecom operators to start judging which device should continue and which should be ‘derecognised from its telecom network’,” ICA said in a statement.